If you’re fifteen minutes late in Cuba you’re probably half an hour early. 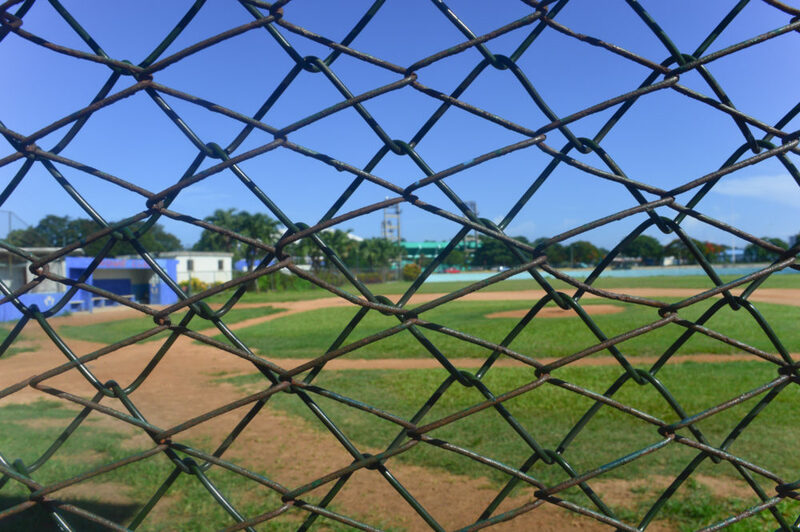 As my taxi turns into the car park of the Estadio Santiago Changa Mederos – a quarter of an hour after the 9am scheduled first pitch- I find the boys of Habana and their parents gathered outside the stadium, yet to take the field. 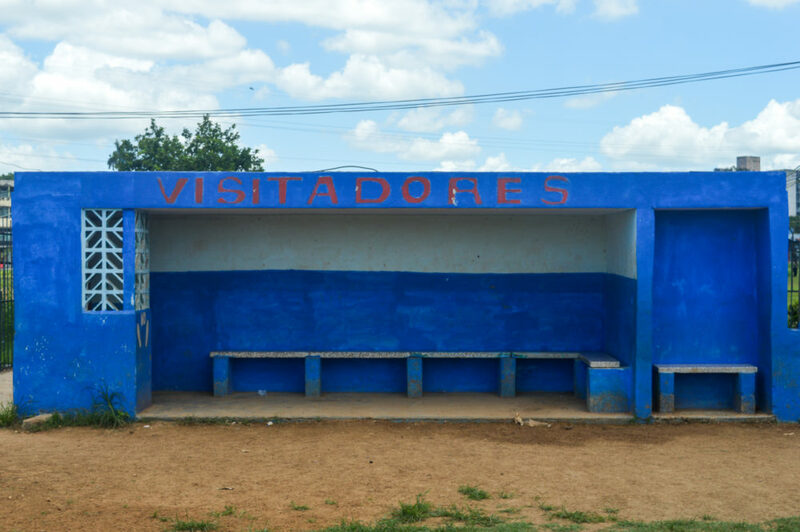 The opponents from Varadero – the small resort town west of the capital – haven’t turned up. ‘Traffic or broken alarm clock’ that’ll be, according to Alejandro, my cabbie and unofficial guide for the week. The nine and ten year olds look unfazed, taking photos of each other and watching music videos on their iPhone’s. 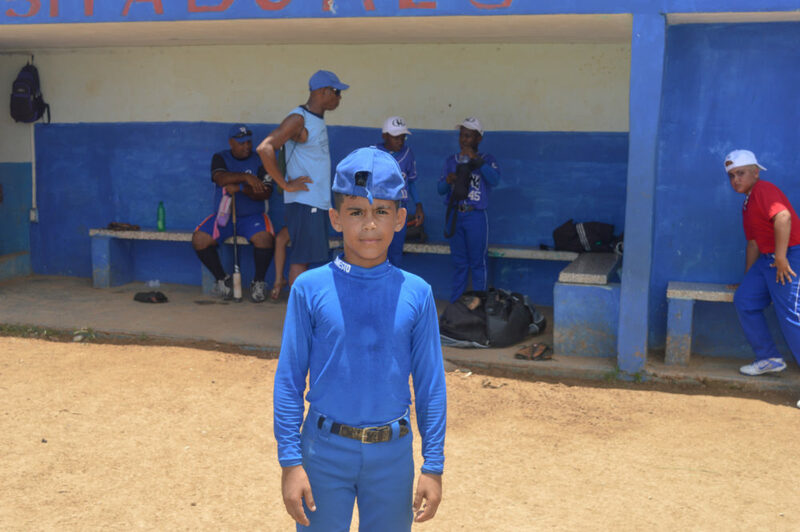 They’re decked out in brand new Nike boots and Adidas shades, highlighted hair and braided chains; like the Latin idols they dream of one day following into America’s Major League. In a country still fiercely grappling poverty, their pristine blue uniforms are immaculately pressed, with numbers and personalised surnames crisply printed on the back of each jersey. Could the gear be counterfeit? They certainly look the part. The families seem a little unsure of my presence. Armed with miserable Spanish skills and a Liverpool accent that some Brits find difficult to understand, efforts to strike up conversation in English are proving awkward. It’s hot and sweaty. I’m a stranger in a field, looking to take pictures of young boys I’ve never met. As I tentatively take the first few snaps of the surrounding stadium the floodgates open with mothers and grandparents, pushing their sons in front of the camera lens. Maybe they think I’m a scout, sent like Seinfeld’s George Costanza to Castro country by some madcap-millionaire owner, ready to catapult their child into fame and fortune. The potential misconception leaves me uneasy, as I use the peak of a Mets cap to hide from the already blazing early sun. An hour of practice swings and wisecracks between adults goes by, yet still no sign of the opponents. Apart from Vasquez that is, presumably a local boy who plays for the outer towners. He’s here, proudly sporting Varadero white, mingling with the Habana boys and angling for some action, should his team mates leave him friendless. Jose, an assistant and parent, translates the Coach’s announcement that the team will have a training game amongst themselves. ‘It’s good for the kids and good for the community to stay and play’. He invites me to walk from the big stadium to the smaller grass patch next door, where I reveal my nationality in the hope of clearing-up any misunderstandings over my interest in the team. 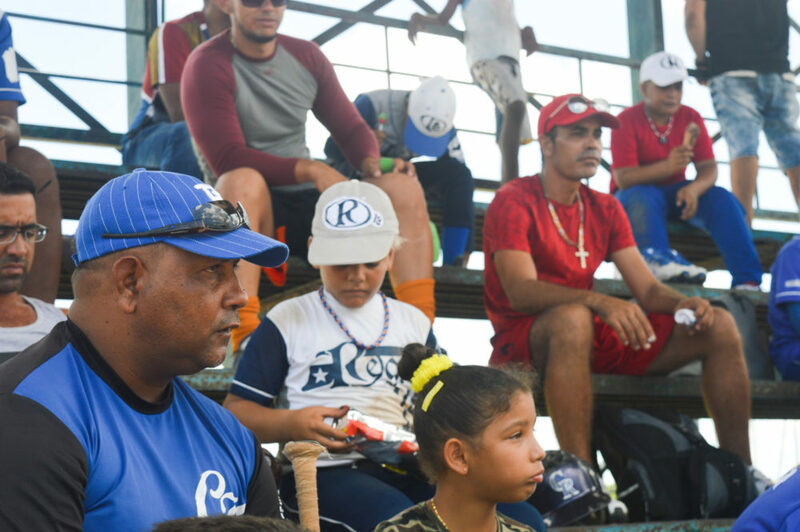 We reach a mini-diamond with a mini-scoreboard, two small dugouts and a couple of bleachers for parents to watch the action. Jose seems pleasantly surprised that I’m a Brit; pointing out to a group of guys kicking a football, he jokes that I should be on the opposite field. 10:30 passes and the game’s still not underway. It’s a far cry from the frantic Sunday morning scenes surrounding junior football fixtures back in England, where referees and managers desperately scramble through team talks and winter freeze to start a game on time. The crowd here are chilled and start tucking into supplies. A pram full of churros is pushed around, ham sandwiches, some iced water, a dark bottle of something, maybe rum; tippled into plastic cups. 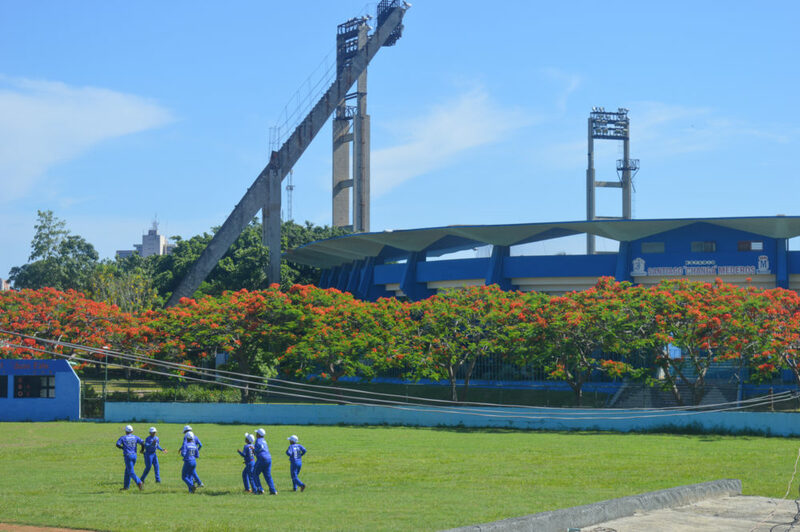 It’s relaxed, like a day at the beach transported to the corrugated iron and steel benches of Havana’s outer suburbs. 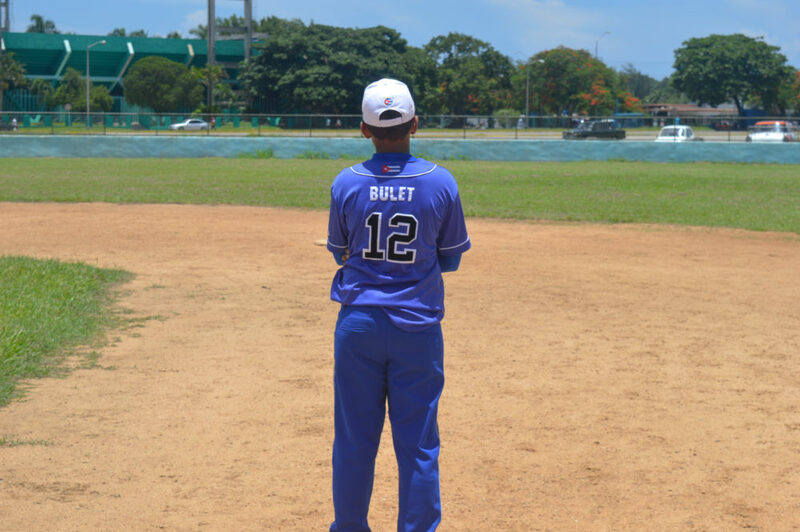 The practice game finally begins at 10:45, when ‘Bulet’ takes the mound, the name on his shirt presumably a moniker in reference to his rocket right hand. Maybe it’s his actual surname, poetic fate he’d throw fastballs. Either way his speed gets him in trouble early, the opening run coming from a blistering wild pitch. Although a little tougher to follow than on TV – with opposing teams in the same jersey and an unattended scoreboard- the first inning is no less enjoyable. Stolen bases, picked-off runners, a 2-5-3 double-play and a whole lot of borderline chin music from the young ace. These are his buddies; imagine the heat he’s serving to rivals. The game’s friendly but seriously contested, with buckets of skill on show. Bulet’s blue-haired catcher Ibaara may be diminutive in size behind home-plate but has a right arm to rival his pitching partner. Standing over it in the fifth inning – the catcher’s mask now traded for a pink helmet to protect the trademark dyed doo – he hits a rocket for a double and steals third off the next pitch. Flamboyant, super productive, versatile; the kid might have a future brighter than his colourful locks. The littlest guy on the opposing line-up – sporting a plain, nameless jersey – shows incredible pace and on-base decision making; nicking second and third on several occasions. Not to be outdone, Bulet showcases switch-hitting skills with the bat in hand. It’s only pre-season but it seems this Habana team will take some toppling, once in full swing. Each inning is highly entertaining; quick pitching and fast change overs between outs, the only prolonged stoppage coming when a ball gets lost in the overgrown ivy covering the fence, foul of third. Wrigley’s got nothing on this greenery. Fielders show clever shifts, errors are rare and the boys are bruised but not brooding when a decision doesn’t go their way. Intelligent little leaguers, these lads. I find myself routing for the Bulet-Ibaara combo for the duration; cheering their outs and hits, at times, more vigorously than their folks. The fundamentals on show throughout the roster are so impressive. 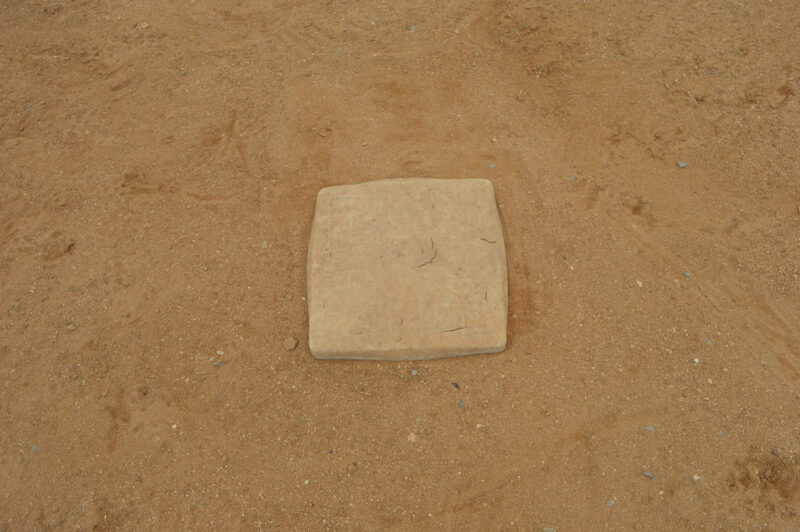 Tricky infield pickups made to look routine, nine-year-olds delivering bunts with the precision of seasoned pros. The families are much more blasé with their praise, maybe they’ve become accustomed to the high standards. We’re deep into the seventh, though. That pre-game rum is probably kicking in. The Bulet-Ibaara side triumph, 7-4. Muted celebrations finish quickly as Coach orders base running drills to conclude the on-field activity. It must be a hundred-and-twenty-degrees down there. The young men are greeted with a mix of subdued compliments and advice from an older generation of relatives, happy to demonstrate how they’d have done things differently if they were still out there. Having earnt their treats, cans of the local Coca Cola imitation and ‘conos’ are passed out by a crafty ice cream vendor who expertly cycled up to the field as the ninth inning got underway. The boys listen closely as Coach takes the floor to begin his prolonged analysis. His passionate words are disrupted, only occasionally, by the agreeing mumbles of parents and, oddly, the faint sound of Brian Adams’ Summer of ’69, drifting-over the diamond from the speakers of a distant radio. Having been left slightly disappointed by a first baseball outing at New York’s CitiField last year, this feels like how the game was, and always should be watched live. No neon screens beaming adverts. No overly aggressive sound effects, blasting between each at bat to encourage artificial singalongs. Just nine innings, enjoyed by young participants, consumed peacefully, by an attentive audience. The sport has been popular in these parts since the 1870s. Yet for an Englishman, it’s funny to witness a cornerstone of American life providing Havanans the platform for their weekend family gathering. 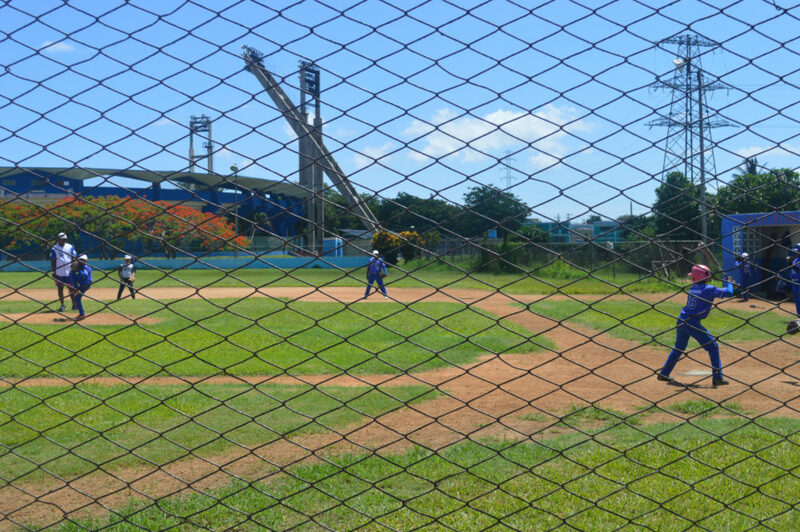 Today, on this little diamond, Baseball feels very much like Cuba’s great pastime.